How to choose a set of panniers for your bicycle tours? Panniers are nothing but saddlebags used for bicycles. Though panniers are not required at all if you use your bike for traveling from your home to work everyday and back, they are an extremely important item for bicycle tourists. A lot of people are slowly but surely waking up to the idea of traveling on bicycles. Not only is it such an environment- friendly way of seeing the world, it is also a holistic experience that is totally enjoyable. For new bicycle tourists who are planning on starting their very first long trip, the choice of a set of panniers is very important. Not only will it carry all the gear and equipment he will be needing for the tour, he will also need panniers large enough to let him stuff it with the little souvenirs he may pick up during his tour. Choosing the right set of panniers is tricky even if you are an experienced bicycle tourist. Here are tips to help you out. * Choosing the right fabric for your pannier is important. Do you want waterproof PVC or durable cordura or cotton duck? Cordura is a fabric that is quite long- lasting and there are a lot of bicycle tourists whose cordura panniers are known to last for 10 to 15 years. Though they are not fully waterproof, they are quite good. You will have to wrap your gear in plastic bags if you want to protect them from the rain. 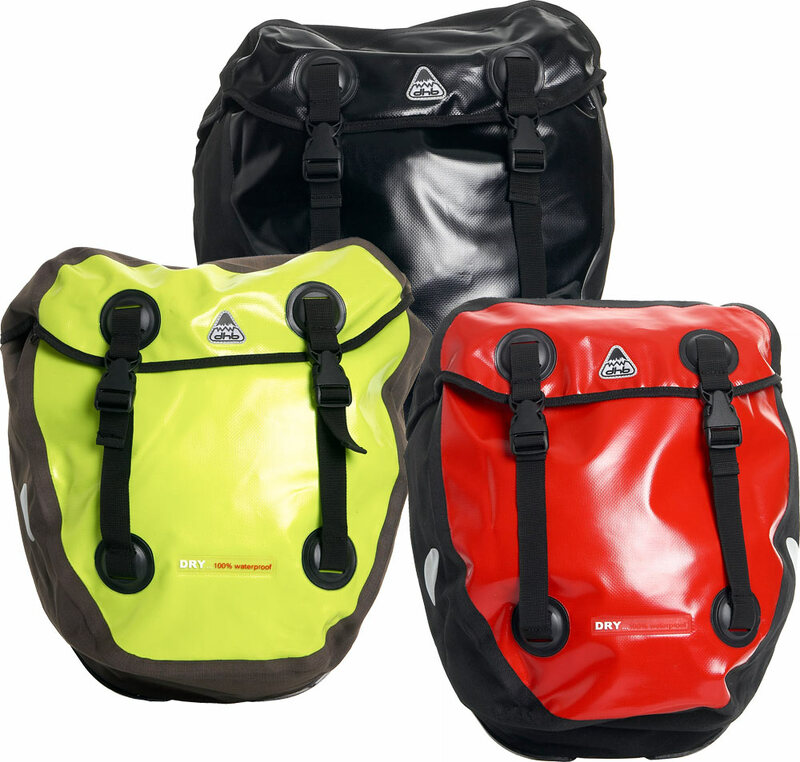 PVC panniers are a good choice and are widely preferred by bicycle tourists who frequently go on tours. They are completely waterproof and all you have to do is pack your stuff in and forget about it- you can even breathe easy during the heaviest rains! But the downside of this variety is, pack anything damp inside it and it will start smelling and turn musty. * Perhaps more important than the fabric is the attachment system of the panniers. Choosing a set of panniers which is easy to attach and set free is a good idea. Arkel and Ortlieb are both good choices and they both come with quick- release systems. Old- styled panniers come with attachment systems made of hooks and nylons, none of which are easy to use. * Weight of your panniers is something that you should consider. Remember, you will actually be carrying the weight of the panniers as well as your gear throughout the length of your tour. Opting for a weighty set will do you no good. But here lies the catch. All bicycle tourists want a pannier which is durable and long- lasting and common sense says that the heavier the fabric, the more pronounced these features will be. A great idea you can use is to buy a cheaper set of panniers and replace them frequently. So you get a lighter pannier at a reduced price. But of course, if you are looking for high quality, settle for a heavier, more durable pannier. * How many pockets do you want your panniers to have? Some tourists like their panniers to have just one while some prefer many pockets to stuff their gear into. Choose one according to your own style of packing. * Panniers come in all kinds of shapes and sizes. It all depends on how you travel. If you usually go on weekend trips, a smaller set of panniers is right for you. If you are more used to go on weeklong cross- country tours, a bigger set of panniers would be the perfect idea.